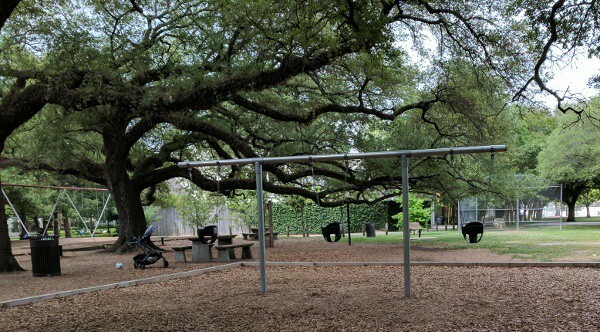 Home»All»Fleming Park… Giant oak trees, pebbles on the ground and old-school wooden equipment! 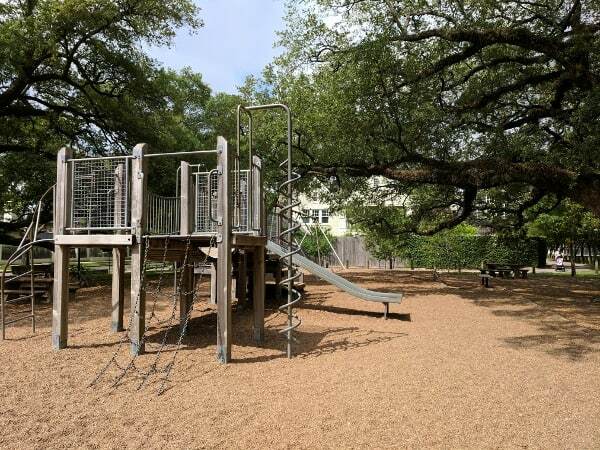 Giant oak trees, pebbles on the ground and old-school wooden equipment… Fleming Park is one of my favorite parks! 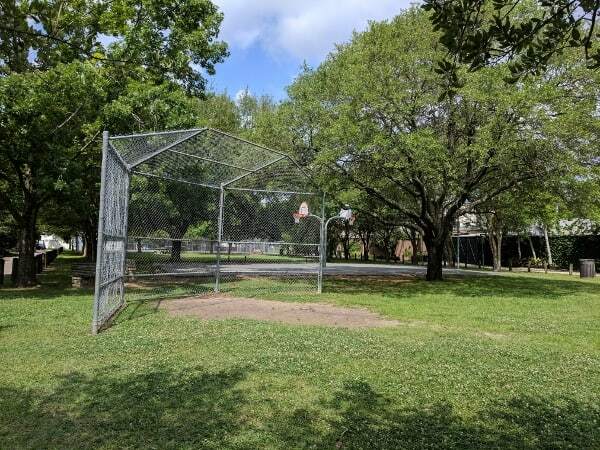 Most parks around Houston now have brightly colored plastic equipment… but Fleming Park reminds me of my childhood and the playground at my elementary school. 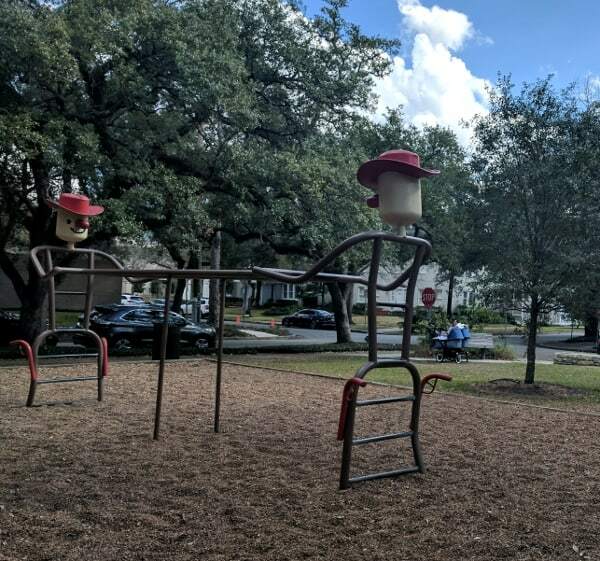 Fleming Park has a big play structure, a toddler play structure, a swing set, a newer toddler swing set and cowboy themed monkey bars. There are three different kinds of animal spring riders and two small stationary horses for little kids. Across the lawn there are pull-up bars, tennis courts and areas for basketball and baseball. 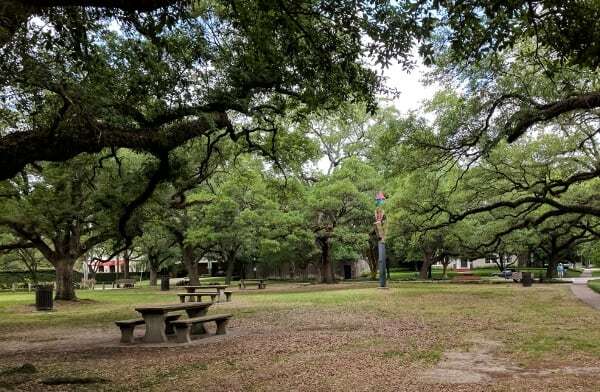 Plus there are picnic tables scattered throughout the park. This park is very popular and it is rarely empty. On the weekends and after school, it is full of families. Parking is free on the street, just check the signs before you leave your car. 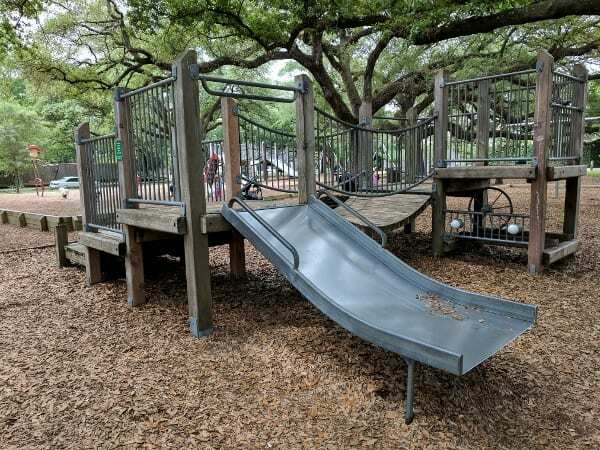 Also know that there are no restrooms and that the metal slides can get hot in Houston! 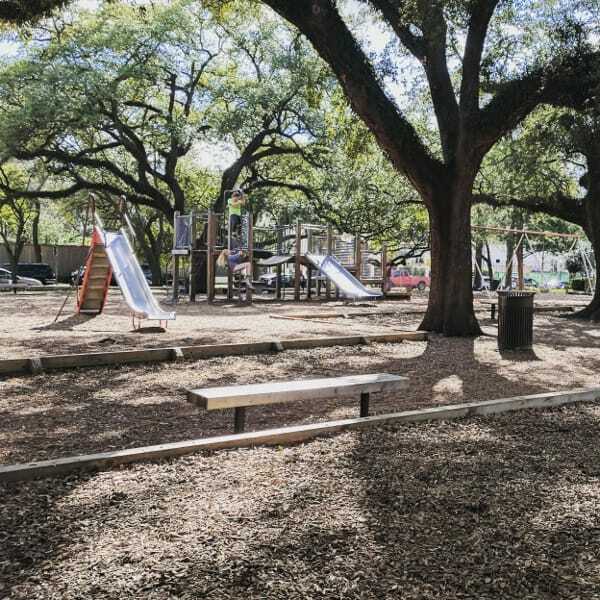 This park is very busy close to the museum district and Rice University… so make a day of it! Heights Bier Garten... Family and Pet Friendly! 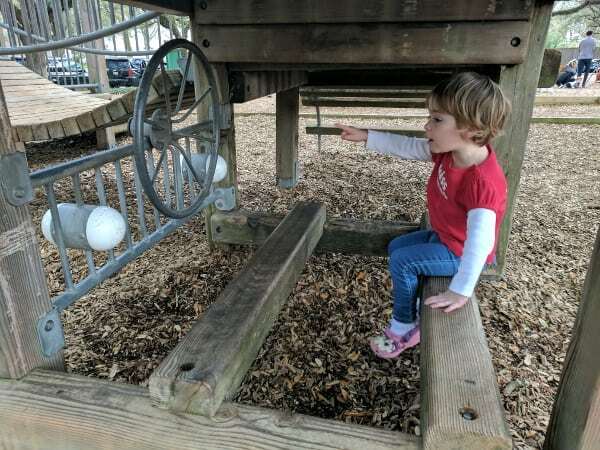 Things to Do in Houston, with Kids… Posts on BigKidSmallCity, Published January 26 - February 1, 2019!